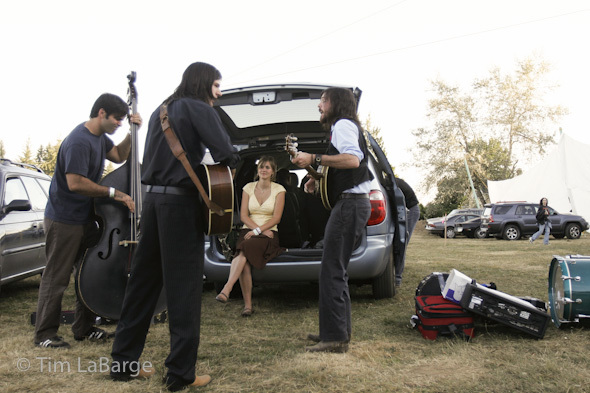 If the Avett Brothers pulled out their instruments and starting playing tunes in a parking lot at a music festival today, I believe there would be a few more people perched on that tailgate with Jill Andrews. But that’s how it was in 2006. A lot can happen in four or five years. Or less, as in the case of Mumford and Sons. They rolled into the U.S. last year with a huge European following but with few fans here. 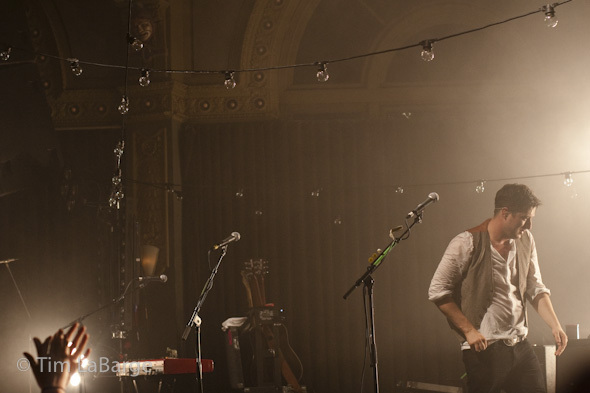 By fall, they hosted a giant sing-along at a sold out show at the Crystal Ballroom. Last night both groups were on stage at the Grammy Awards with the legendary Bob Dylan. I tuned in just in time to see Justin Bieber and Usher do a couple of dance numbers. And then I exited as soon as my palate was cleansed by the Mumford/Avett/Dylan combo. 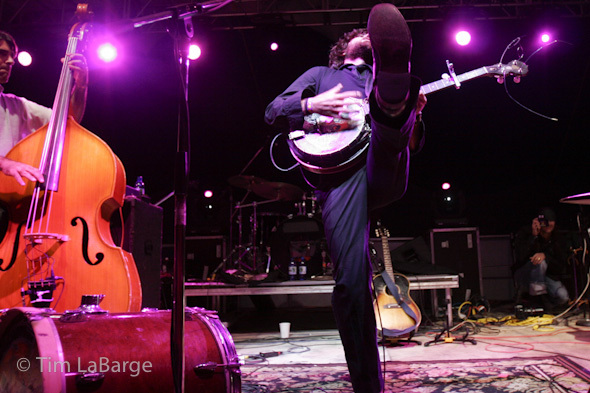 While their performances had the sterilized feeling of being on national television, there were banjos, an accordion and upright basses on stage. There were beautiful harmonies and real songwriting. So whether Dylan can still sing, or whether these guys win an award is not really important. The wonderful thing about their appearance and sudden popularity is that this music is reaching folks. And in a time of lip-synching, auto-tune and costumed antics, that has to be more rewarding than a little trophy. This entry was posted on Monday, February 14th, 2011 at 12:02 pm. 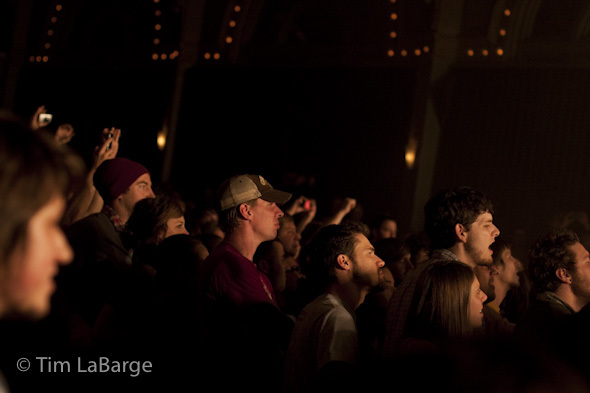 It is filed under music and tagged with avett, brothers, labarge, mumford, music, oregon, photography, portland, sons, tim. You can follow any responses to this entry through the RSS 2.0 feed.